Is Jury Duty Pay Reported to the IRS? How jury pay affects your tax return depends on the state you live in and your employer. 1. Is Drill Weekend Pay Taxable? Like most other types of compensation you earn for providing services, the pay you receive from the federal, state or local government for jury duty is generally taxable. There are situations, however, when it isn't necessary to report jury duty pay on your taxes. But your eligibility to do this depends on the laws of your state and, if you have a job, your employer's policy. Federal law doesn't require employers to pay an employee's salary for days he is absent because of jury duty obligations. A number of states, however, do require this. In Massachusetts, for example, the law requires employers to pay wages for a maximum of three days of jury duty, regardless of whether the employee is full-time, part-time or temporary. 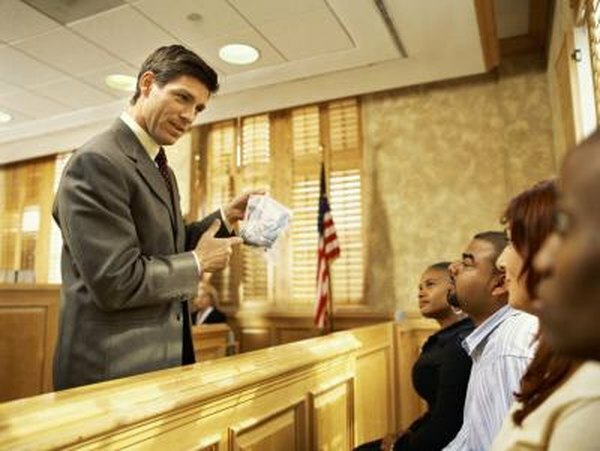 In contrast, Connecticut requires payment of up to five days of jury duty, but only full-time employees are covered under the law. Therefore, if your employer doesn't withhold your wages, or request the jury duty pay you earn, both the jury pay and wages earned during the absence are fully taxable. If your employer pays your wages for each day of jury duty service, it might ask you to hand over the payments you receive for serving on a jury. In this case, you'll pay tax only on your wages – but the jury duty pay must still be reported as “other income” on your return. Instead of excluding the income entirely, the IRS allows you to take a deduction as an adjustment to income for the amount of jury duty pay you give to your employer. On the second-to-last line of the “Adjusted Gross Income” section of the 1040 – which is the line where you calculate the sum of your deductions before calculating adjusted gross income – you'll write “Jury Pay” followed by the amount received on the dotted line and include it in the deduction sum. Essentially, this reporting method reduces your taxable jury pay to zero. Employees of the federal government are subject to special rules and receive their full salaries while serving on a federal jury but aren't compensated for their juror services. As a result, tax returns of federal employees who don't receive jury duty pay are unaffected. When jury duty pay is taxable, the same rates used to calculate the tax on your salary and wages apply to jury pay. Are Unpaid Wage Settlements Taxable? What Does SDI Stand for on W2 Tax Forms? What Deductions Are Taken Out of a Military Paycheck?